After 31 years teaching at the Rhode Island School for the Deaf (RISD), Mary Jane—or MJ, as she’s affectionately called—wasn’t quite ready to empty her various “teacher bags” of their books, markers, toys, treats, testing protocols and notes to pick up her knitting needles on a full-time basis. 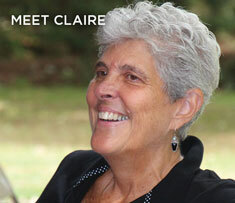 So she decided to join the team at Clarke Boston… just for five years. Ten years later, and MJ is still part of the Clarke team, driving all over Rhode Island and Southeastern Massachusetts, providing direct services to kids, filling in when necessary in Clarke classrooms and providing direct consulting services to Clarke teachers and staff. But these past ten years represent only a quarter of what has been a remarkable journey for MJ. In the 1970s, as a first-year teacher of the deaf, Mary Jane wanted to know how students with hearing loss—who had limited pre-literacy and communication skills—were supposed to be able to learn to read and write. This led to the creation of a story structure curriculum that enabled students who are deaf or hard of hearing to access the countless stories available to children with typical hearing. This innovative curriculum is still being used by RISD today. Around the same time, MJ had her first opportunity to work with Clarke. She was part of a research team collaboration between RISD and Clarke that influenced changes in the language curriculum at both RISD and Clarke. MJ’s research soon came to the attention of Dr. Betty Vohr, a neonatologist at Women & Infants Hospital in Providence, Rhode Island. Dr. Vohr had learned of a new technology being developed in England to detect hearing loss in newborn babies, and asked Mary Jane to determine how this could be made available in the states. And thanks to the groundbreaking work of Mary Jane and her team, that newborn hearing screening process is now the standard of care in all 50 states. 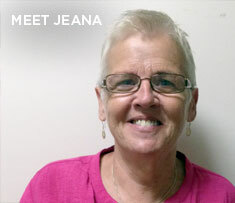 As the Parent Guidance Program Coordinator at RISD, Mary Jane worked with state agencies, audiologists, pediatricians, teachers, special education directors and parents to provide the best possible services for students. During her tenure, the program grew from just three families to 50. While resources for families were improving, MJ saw that technology available to individuals with hearing loss was changing—and it was changing rapidly. She was aware of the advancements being made in cochlear implant technology, and she knew the implications and possibilities with regard to mainstream services. It was then that she helped to establish the first auditory/oral program in Rhode Island. 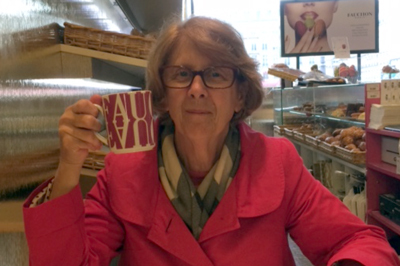 For the past ten years, Mary Jane has served as Assistant Director at Clarke Boston, where her decades of experience have proved invaluable. “Mary Jane is able to draw on her wealth of experience working with hundreds of families and children to provide the right information at the right time based on what the family needs educationally and emotionally,” says former Clarke Boston Director Cara Jordan. Barbara Hecht, Director of Clarke Boston notes that, “Mary Jane is an amazing colleague –a great listener, mentor and problem solver. She has boundless energy and enthusiasm… we often call her the ‘energizer bunny!’” True to form, MJ has even completed two marathons in support of Clarke, raising thousands of dollars to help more children with hearing loss learn to listen and talk. Above all, Mary Jane loves working with kids, and it is immediately apparent. When she enters a classroom, all the students—even the ones she isn’t there to see—greet her with big smiles, and a loud, “Hello, Mrs. Johnson!” And according to MJ, this is what makes it all worthwhile. 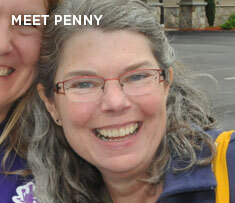 "Penny is a very versatile teacher and has the advanced skills and experience that allow her to build connections with parents, children and collaborating professionals. She is fun, funny, creative and goes the extra mile." –Marian Hartblay, MAT, MED, LSLS Cert. AVEd, Director of Clarke... When three-year old bookworm Angelina was born in December 2013, she failed her newborn hearing screening. Soon after, she was diagnosed with bilateral profound sensorineural hearing loss. 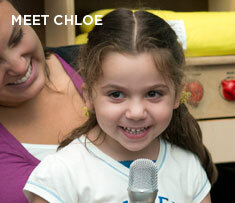 Her parents were shocked, as both her older siblings have typical hearing. “Mary Jane is the consummate professional in the field of deaf education,” says Dr. Jan Gatty, Director of Child and Family Services at Clarke Northampton and a member of the Smith College faculty. 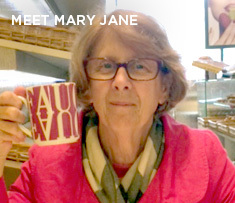 “During her career, Mary Jane has worked with children of all ages, in all settings and with... “Claire has been an incredible work partner in my many years of working with Clarke,” says Laurie Farkas, director of Student Services for Northampton Public Schools. “Claire is a team player, always supporting creative ways we can improve services for students and increase their exposure... When parents of young children who are newly diagnosed as deaf or hard of hearing first come to Clarke Philadelphia, their initial contact is often with Clarke’s Early Intervention Coordinator Jeana Novak M.A., LSLS Cert. AVEd. Kristen McCuen, whose two young sons receive Clarke services,... 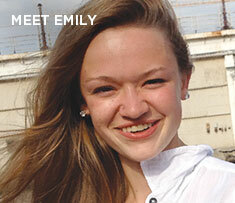 When Emily Hewlings was an infant, her family suspected very early on that she had a hearing loss. “We had a couple of pretty loud dogs,” said her father, David, “and Emily would never wake up when they barked.” Tracy Boland has identical twin boys. 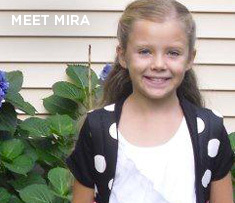 And although one is hearing and one is deaf, they’ve been in school together since their very first day of preschool. Boland credits Clarke’s Katie Jennings as an immeasurable part of her son Will’s success. 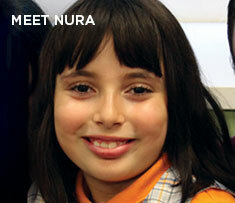 Eight-year-old Nura is a tournament-level chess player who also loves to shoot baskets for hours on end. A future ornithologist, she recites the names of her favorite birds with the same zest as most kids do their favorite ice cream flavors. Listening to Nura sing the lyrics to one of her... Chimaza passed his newborn hearing screening, but at 20 months he wasn’t talking. 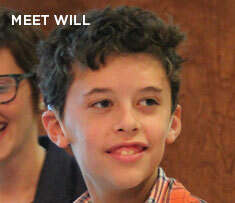 Concerned, his mother, Christiana, had her son evaluated for speech and language services. 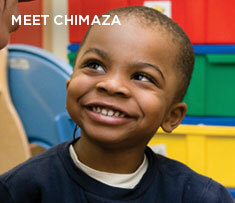 At 23 months, Chimaza was diagnosed with a profound hearing loss. 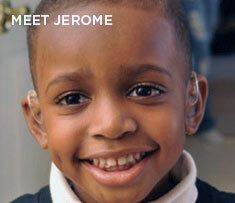 At 24 months, he was fitted with hearing aids. When... “Before we came to Clarke, every single speech report we received for our daughter had the word delay in it. This year, the report was different. It said, Chloe’s on track. I can’t describe how happy I was to read those words. When Birch was diagnosed with unilateral microtia/atresia (a malformed outer ear and closed ear canal, resulting in a severe conductive hearing loss) at birth, his parents joined a group made up of families with children who had a similar diagnosis. During the first picnic hosted by the group,... JennyKate Marble was initially introduced to the field of deaf education while an undergraduate at Smith College. A class with Dr. Janice Gatty, Clarke’s Director of Child and Family Services, left a lasting impression. “Many of the videos shown in Jan’s class were of Clarke students. And I... Currently, there are only 10 certified athletic trainers with hearing loss in the entire country. 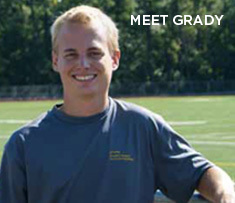 Clarke alum, Grady Congleton, is looking forward to becoming the 11th. “As a baby, my son Jerome always loved music—he was even humming tunes at ten months old! At two years old, Jerome was hitting all of his other development milestones, but he wasn't talking. Because Jerome passed a hearing screening at birth, we didn't learn of his condition—sensorineural... “At just a month old, Mira was diagnosed with sensorineural hearing loss in both ears. She attended kindergarten and first grade at Clarke, which laid a foundation for language and instilled a sense of confidence in her. 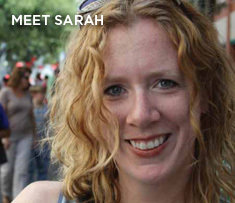 Sarah Ammerman, M.E.D., Ph.D., never thought she would end up at the Smith College/Clarke School Graduate Program in Teacher Education. But the minute she stepped into her first classroom with children with hearing loss, her mind was made up. 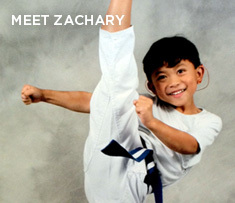 “We were very nervous when Zachary began first grade in a mainstream school. But within the first few days his teacher called to tell me how impressed she was with Zach.